Our bucket list and goals for the upcoming year! 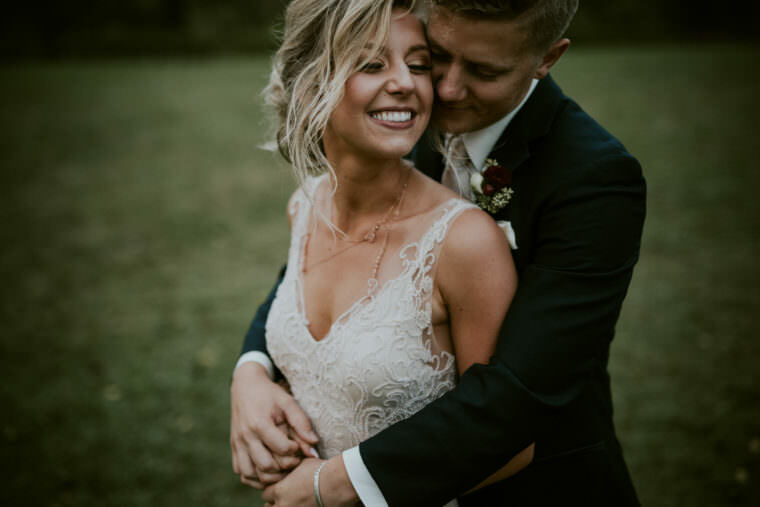 2017 brought us into our 2nd year of living in Madison as a Destination Wedding Photographer. The main reason we moved to Madison Wisconsin was because we were always in Madison for session, fun things with friends and weddings. The silly thing that happened while living here is that we were in Milwaukee weekly. There was a month where every weekend we had a wedding in Milwaukee Wisconsin. Will we be moving to Milwaukee now? Ha, no! As we love the city, we love coming home to Madison. In the last year we got to photograph at new venues with amazing couples. Some of those venues I have been dying to photograph at. Like Rustic Manor 1841, which ended our crazy season. We booked another couple there for 2018 and we are so excited to go back! Also, in 2018 we booked a wedding at Villa Terrace in Milwaukee, a place I have been wishing on all the stars to be able to photograph at! 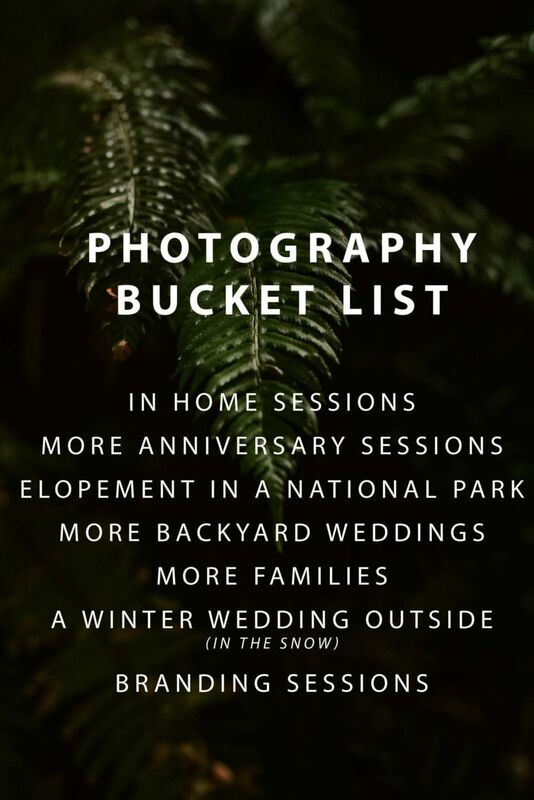 We are known for photographing small intimate weddings, and we got the rad honor of photographing a small elopement in Minnesota and an intimate wedding in Wausau on Rib Mountain. It’s awesome that we have photographers who are booked referring us to amazing couples who have a non traditional look at their wedding. One of the best things about coming together as a couple is making new traditions and memories. Make your wedding day yours, as we tell each and every couple we photograph! Where do we see ourselves in 2018? This is such a hard question to answer this early in the year. Why? Because, we are just starting to plan, update and dream for the year. Last year was so amazing for us, and the fact that 2018 is ecen more awesome so far we can only imagine mega things for our bucket list. Olympic National Park – any of those beaches (La Push or Ruby Beach) would be AMAZING! Or among those large trees would be stunning! The North Shore in Minnesota, so many amazing and beautiful places! More backyard weddings – rent a rad Airbnb and get married in the backyard! Norksedalen – this place is AWESOME! Camp Wandewega – camp lover like us! You could have a chill wedding on the lake ending with a fire and marshmallows. More in home sessions!!! It’s chilly outside, let’s snuggle up inside with coffee, bake some cookies and capture your real life home memories! Along with weddings, we would LOVE to photograph more families & couples! By couples we mean, engagements, weddings, and babies shouldn’t be the only time you get photographed. Don’t wait, plan a fun session just celebrating your love for each other! Also, more professionals who want more than just a head-shot! Let’s hang out get some updated head-shots AND some rad marketing photos to use on your website, social media and such! 2017 was an amazing year and we love this time of year to be able to look back on the amazing things that happened, along with taking note of the things we need to change for the better. Our goal in life and business is to never stop growing, never stop learning and never stop exploring. Some of our personal goals are to start living with less. Moving into a smaller apartment has us concentrating on what we actually need. So every single time we go shopping we ask ourselves if we really NEED it if we answer NO or probably then we DO NOT get it. We are also hoping to move into a bigger apartment, just so I can have an office again. I can’t concentrate with my office in the living room like I could with a sperate office. We also want to start setting aside time to hangout with friends, and connect with new people. Life goes by way too fast to no spend it with rad people.